We are a family run business that started in the meat trade suppling Butchers with sides of Bacon, cooked meats, sausages and then pork scratchings. We have been trading from the Black Country since the 70’s. We pride ourselves in providing the best quality scratchings and snacks using only prime pork rind. We supply organisations such as; wholesale meat companies, confectionery business’s, drink wholesalers, supermarkets, pub’s and corner stores as well as service stations. Value and Quantity are what we aim for, very expensive packaging is not for us. Giving customers what they want more product for their money. Thats what we strive to achieve. Whilst we sell other companies scratchings the bulk of the trade comes from our own products. 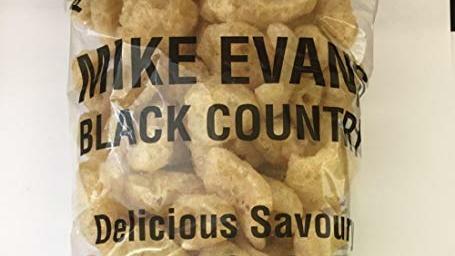 Original Black country scratchings 86grm and 42grm are our best-selling scratchings, Our 100grm savoury pork crunch and 100grm jalapeno flavoured pork crunch have exceeded our expectations, close behind are our 40grm pork crunch again in two flavours. Black country double cooked crackling again worked because of the quality and we priced it right. Original Leaf scratchings again was well received giving customers of my age something. Looking more into this for the future. As a Family we are always trying to do things properly. We Supply from local meat companies and supermarkets. We Only Employ local people and are proud to say we support Walsall football team. We tend to use little as possible on packaging, we don't waste money on unnecessary packaging and box's. Unfortunately due to modern technology there isn't much more we can do to our packaging as of yet! We like to think Everyone will recycle our packaging after they've finished our delicious product! We keep up with all nutritional values. anyone looking to boost the protein in their diet can try new pork scratching's which have 47% less fat than their predecessors and 70% protein per bag, making them a healthier alternative to a bag of crisps with your pint. We would like to think that all animals are treated properly! !